"Dave and Victoria were wonderful to work with. Prior to the event they spent a lot of time working with us on a song list and learned several new songs that we requested. They were also very clear and responsive regarding the performance contract and the costs associated with our event. We appreciated that everything was clearly stated up front and there were no last minute pricing changes or additional charges after the fact. Most important of all, the music was fabulous. All of the songs, including the newly requested ones were terrific. They created a great vibe at our wedding reception and we hope to have the opportunity to celebrate special occasions with them again." 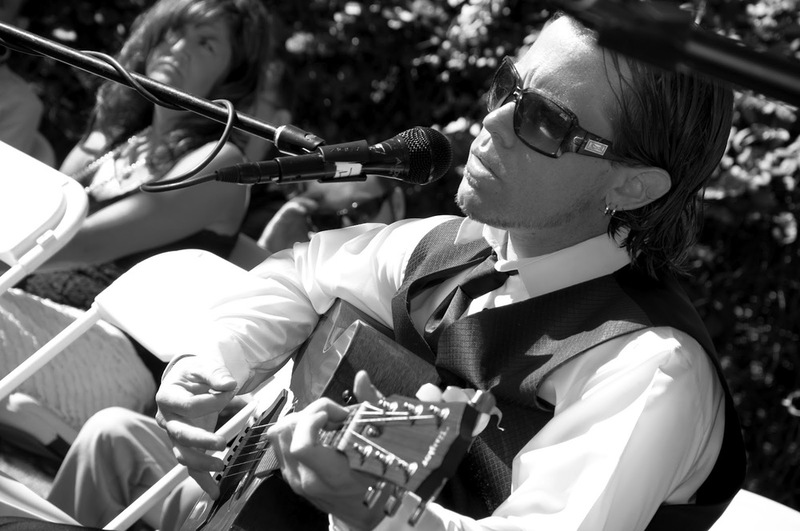 "Dave's performance as I walked down the aisle was exactly what we had imagined for our wedding day. It was nuanced, poignant, and intimate. He custom learned "our song" and performed it masterfully. We would highly recommend him to anyone desiring a moving musical backdrop to their wedding celebration." "Tall whispering grass in the mountains of Utah and music by Dave Tate made our day as perfect as we had dreamed!" "Wow! What an amazing experience to have you two play our whole wedding! It was so wonderful to hear your two beautiful voices all evening! Everything was perfect and better than we had imagined! All of the covers were amazing and your original songs only added to our magical evening. We could not have chosen better musicians - not only your talent, but your love and good energy were wonderful." "Dave & Victoria's music added another layer of magic, grace and beauty to our wedding ceremony. The music they created was utterly gorgeous and helped ensure the perfect heartfelt tone to our wedding. Their voices are stunningly beautiful and Dave's guitar playing is superb. We would recommend them to anyone for any special event."